'Casting the Characters' is one of my new blog features for 2014, and involves choosing the cast for a book-to-film adaptation. Just like the next book-lover, I'm always extremely excited - and nervous - to see one of my favourite books on the big-screen, and see if the right actors/actresses have been chosen to play the characters. Matched is a YA Dystopia series with a huge-following, that I have recently joined after reading the first book in Ally Condie's trilogy, and I felt so connected to the characters throughout the novel. You can check out my review here. Thank you to Ruby from 'Feed Me Book Now!' for the brilliant banner! Cassia is the main-protagonist in Matched, and we are first introduced on her seventeenth birthday, as well as one of the most important days of her life in the Society, the Choosing Ceremony. The Choosing Ceremony is where you find your perfect Match, the person you are expected to marry and have children with. She attends the Ceremony with her childhood friend, Xander, and it is a shock when they found out they are Matched. However, Cassia over the course of the novel slowly comes to the realisation that it is wrong for her whole future to be planned and predicted, for her to just be another piece of data, and poetry plays a huge part in this. Chloe Grace Moretz would definitely be who I would want to take on the role of Cassia. Not only does she bare a resemblance, Cassia does have brown hair though, Chloe would be able to both play the part of the girl that wants to change things, but the more down-to-earth and hesitant character we get to know. Xander is the best-friend Cassia grows up with, and they know everything about each other. Their fondest child-hood memories involve one-another and, when they are Matched, Xander couldn't be happier. As well as being one of the main supporting characters, no matter what Cassia does, he always stands beside her and does anything he can to protect her. 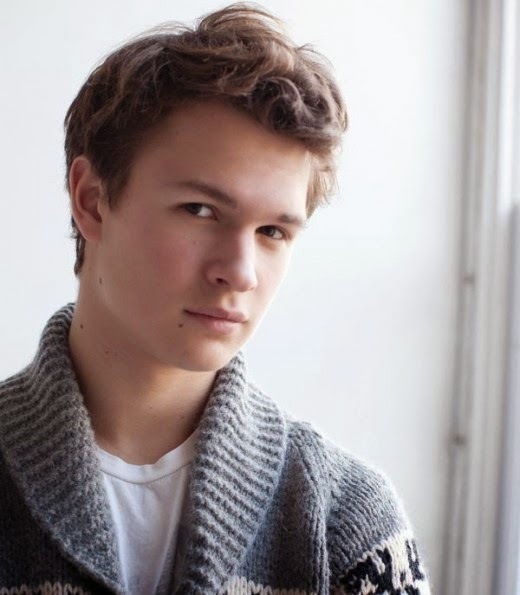 Personally, despite slight age-gap between Chloe and him, I would absolutely love to see Ansel Elgort as Xander. He matches the book's description perfectly, as well as executing the kind and calm demeanour effortlessly that you would expect from Xander. His role would need to be full of emotion in Matched, and after getting the role of Gus Waters in 'The Fault in Our Stars', I think it would be a brilliant choice. After doing some research, I found out they both worked together on Carrie! Logan Lerman would be a great choice for Ky, in my opinion, as he's already taken on roles in the YA adaptations of 'Perks of Being a Wallflower' and 'Percy Jackson' so, he has proven he's really versatile and has a vulnerable side. I'd absolutely love to see Elizabeth Banks, best known for playing Effie Trinket in 'The Hunger Games' take on the role of Cassia's Official, as the Official is quite serious, yet young, something that surprises Cassia. Also, the Official appears quite a lot throughout the book. Em(Cassia's best-friend) and Bram(Cassia's brother), if I had a chance to choose who would play them, would be played by Hailee Steinfeld(Romeo and Juliet) and Riley Thomas-Stewart('The Lucky One'). So, who would you like to see play the main characters if Matched was ever an adaptation? I love this feature and I absolutely love the header. Ruby did a great job. The more you fangirl about Matched, the more I feel I need to re-read. I agree with Logan as Ky. With Logan's good looks he could portray so many YA make characters. Haha! Excited to see what other movies you cast. You've chosen great actors. I love Ansel Elgort and I can totally see him playing Xander. And when I was reading Matched, I definitely imagined a boy with black hair sweeping across his forehead like Logan Lerman. Love Cassia Reyes too! :) Good choices! Looking forward to the second instalment of the feature. So good, in fact, that I'm going to unearth my copy of Matched and re-read it with these images in my head. I'm sad to say I didn't really love it the first time around, but suddenly the characters seem so real. Perfect casting. More like this soon, please! loved the post it beatful you sholud do more of this were link up our post. Side note: Don't you think Ricardo Montalban (the grandfather in Spy Kids 2) would have been a great grandfather for Cassia? He just looked and managed to portray such a wise, strong character. I love the feature idea… but I'm afraid I can't leave a very long comment as I haven't read Matched! 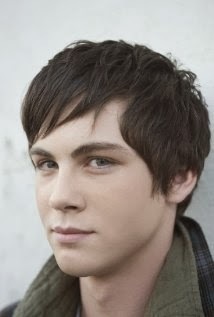 However, I can say that I LOOOOVE LOGAN LERMEN!